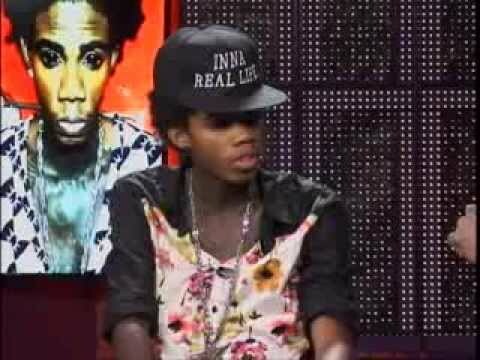 VIDEO: Alkaline Interview Onstage TV, February 22, 2014. Jamaican dancehall artiste Alkaline talks (or doesn’t talk) about having his eye tattooed. And how he got, or did not got, the foreign team in to tattoo his eye. Wilford Williams and Alkaline also talk about choices the young artiste makes in his career and what Alkaline would do to take his career to a higher level. He also talks about the comparison to Vybz Kartel. Is this young artiste making sense, or did he fail this interview? Feel free to leave a comment below.